Welcome to the "Life after Death Project" Web Site. Here is a special announcement from Paul Davids! Paul's new book is available now! 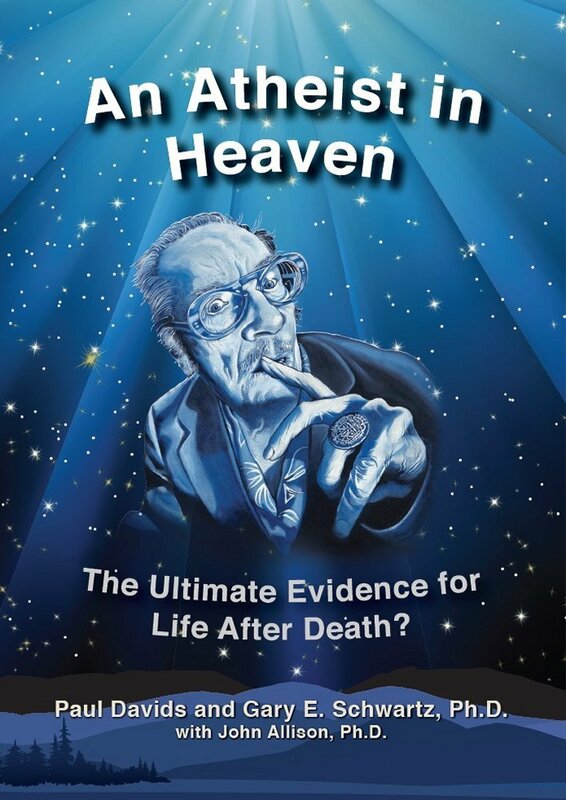 This 514-page hardback book, supported both by an affidavit of truth from co-author Paul Davids and a trove of scientific findings, is a decisive monument to afterlife evidence that is sure to challenge skeptics, followers of afterlife research, and scientists who are experts in many fields, from psychology to chemistry. What happens when a steadfast atheist dies and discovers he was wrong about life after death? Although he was a world famous futurist and a pioneering promoter of science fiction books and films, Forrest J. Ackerman never believed in an afterlife of the soul, the spirit or the mind; nonetheless, he promised a few respected colleagues that if it were to turn out that he was mistaken (which he sincerely doubted), then if it were possible he would try to send messages from the beyond. In An Atheist in Heaven, Paul Davids and Gary E. Schwartz, Ph.D., describe in hair-raising detail more than 100 incidents of Ackerman's unusual and uncanny messages and phenomena. Readers will find impressive scientific support from contributing writers and investigators, and a unique human story of a 45 year friendship that did not end with death. Get your copy today at Amazon.com - Click Here! review / story about THE LIFE AFTER DEATH PROJECT since its premiere on Syfy. Paul Davids was a speaker on "The Life After Death Project" at the 2013 Idea City Conference hosted by Moses Znaimer's Zoomer Media at the University of Toronto. Here's his 17-minute talk about the research and incidents that led to THE LIFE AFTER DEATH PROJECT.